Microlab, a Wireless Telecom Group company (NYSE:WTT), is announcing the addition of 4.3-10 connectors to its market leading RF passive components. The 4.3-10 interface (IEC-61169-54) has been developed to meet the current and future needs of the mobile communications market. The new connector interface guarantees excellent low PIM performance that is independent of tightening torque making it yet another choice of robust low PIM connector on Microlab's products. The 4.3-10 connector design separates the electrical and mechanical planes by employing a new contact system that minimizes coupling torque and simplifies installation. The 4.3-10 connector specification offers additional installation flexibility by supporting three different plug types: Screw, Hand-Screw, and Push-Pull which are compatible with one universal female jack now available on selected Microlab low PIM products. Multiple connector options are crucial for wireless operators and system designers upgrading and deploying new indoor and outdoor coverage solutions. 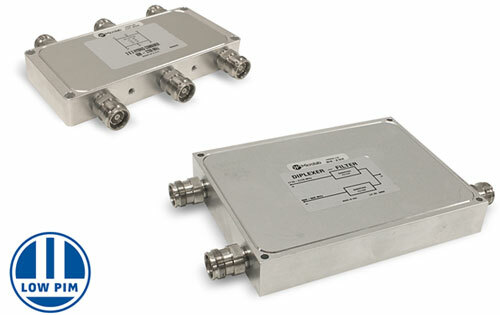 The new 4.3-10 connector offers excellent Low PIM and return loss ideally suited for high performance communications systems. The small profile and different plug types offered by the 4.3-10 design will support the future development of lighter and higher density solutions driven by increasingly challenging rack space requirements.